Grocery Store Round-Up for this week… Whole Foods Whole Foods West Whole Foods Midwest Whole Foods Mountain Whole Foods Southern Trader Joe’s Wegmans Super Target Aldi Earth Fare Weis Markets More stores coming soon…leave your requests in the comments! Coupons don’t get much higher in value than this! Note that this is a first come, first serve coupon, so don’t delay! 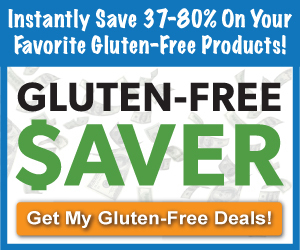 $3/1 Udi’s Gluten Free product Remember, you can print 2 coupons…just hit the “back button” on your browser. Every penny counts… Thanks Frugal Finders! Here’s your friendly reminder to print those coupons! Here are a few allergy friendly coupons for this week!